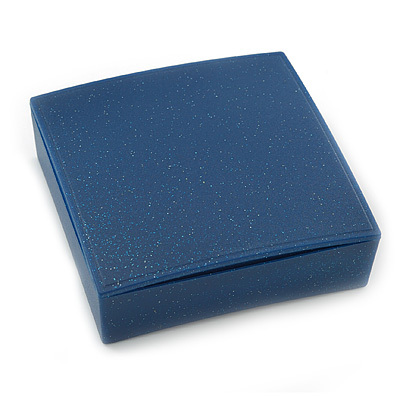 Universal blue plastic jewellery box with glitter effect finish. Set with white cotton insert with pre-cut slots, to suit a pendant, earrings, brooch, necklace, set. Just perfect for that special occasion! External measures: 80mm L x 80mm W x 25mm H.